I have been meaning to post this recipe for Healthier BBQ Shapes (BBQ Crackers) for a while but it’s been a very busy few weeks. Side note: as I am writing this, I am reflecting that I refer to my busyness as an excuse for my lack of regularity of blog posts. Please accept my apologies. However, I am guessing you do appreciate where I am coming from, given my recipes are predominantly kid food oriented, so you must have a kid or two and will know exactly how quickly time can slip away. Quicker than you can eat a Tim Tam. Suffice to say, kids get in the way of regular posting. I do think you will forgive me once you try these delicious morsels that are my Healthier BBQ Shapes. Did you try my Healthier Pizza Shapes? If you did, you will probably know that I have recently been flirting with the savoury bakes. I had not paid much attention to crackers and their ilk in the past, but I have to say, I am really loving them. These Healthier BBQ Shapes are soo tasty – the smoked paprika gives it the perfect just-off-the-grill flavour. They are a little taste bud party with every bite. That line should be trade marked for when these go global. Ahem. In seriousness, they are packed with flavour and induce a mouth-watering-need-to-have-more reaction. What I think I love the most about the Healthier BBQ Shapes is that I am introducing my kiddos to spices (smoked paprika) that I think as parents, we would often shy away from. And there is no need…these crackers are totally kid-friendly and like the pizza shapes, freezer friendly too. So…what’s stopping you from making these right now?! 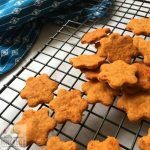 These delicious Healthier BBQ Shapes (BBQ) Crackers are perfectly spiced and so fun for school lunches. In a food processor, add all of the ingredients and process until mixture comes together and balls around the bowl. If the mix remains a breadcrumb texture add a little water slowly (up to 1 tbsp). If the mixture appears wet, add a little flour until the consistency is like pastry. When the dough is ready, turn onto a floured board or bench (or directly on to baking paper if that is your preference) and roll out in a rectangle to around 0.25 – 0.5cm thick. I think the thinner the better! When the dough has chilled, sprinkle lightly with smoked paprika and then use cookie cutters to cut out your desired shapes. Bake the shapes in the oven for around 6-10 minutes until lightly browned. The time indicated is entirely dependent on the shape sizes and how thin your dough is rolled so keep a close eye on your shapes. I find 0.25 cm thickness is ready at around 6 minutes. I love using different cutters to make fun shapes, or you could use a pizza cutter and quickly and easily make cracker squares. One of my favourite cutters comes from the Match and Munch Set* from The Lunch Punch. So many options for you to try! *This is an affiliate link – if you decide to purchase a set it won’t cost you any extra but I will earn a small commission that helps fuel me with coffee and chocolate! For a 10% discount at the check out make sure to use the code GOODIE. These Healthier BBQ Shapes (BBQ Crackers) are not just for kids. These are just as great for adults too and I often have these crackers in my lunchbox for work. Mr Goodie has pronounced these his favourites and it’s lucky this is such a big batch so that there is enough left for everyone else! When I bake these I normally freeze half and pull out as I need for lunchboxes or snacks. 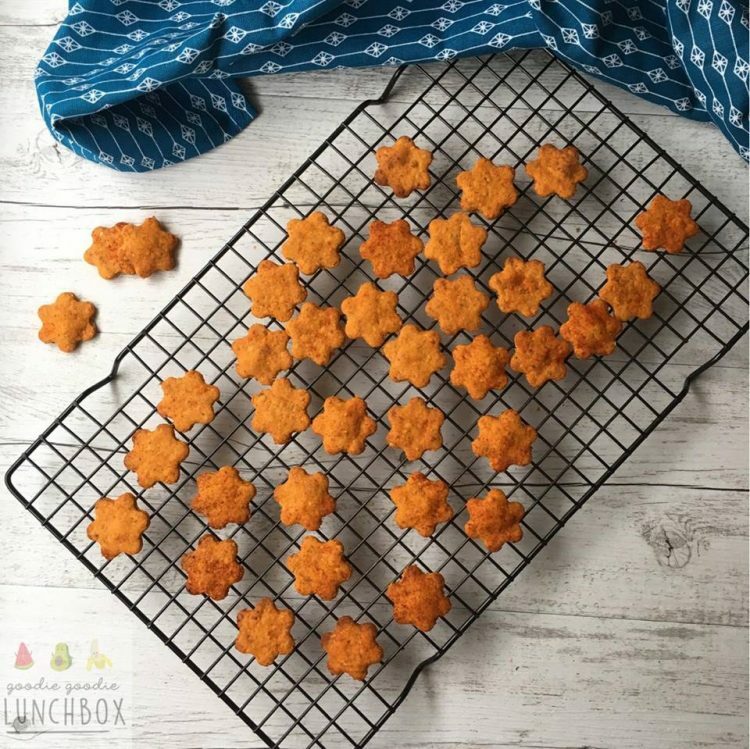 I hope you enjoy baking these – if you do make them be sure to post these to my Facebook page so I can see your delicious bakes, or if you are an inst-fan tag me in your pics on Instagram, I’d love to see them!